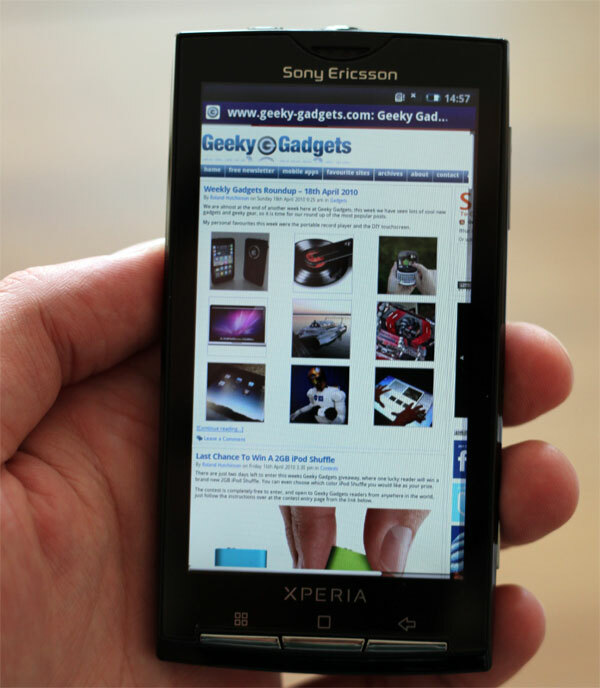 We recently reviewed the Sony Ericsson Xperia X10, which is the first Android handset from Sony Ericsson, and it currently comes with Android 1.6, and many users have been waiting for some news from Sony Ericsson on when it will get updated to the latest version Android 2.1. Sony Ericsson has finally announced that the Xperia X10 will be getting updated to Android 2.1 in Q4 2010, but that is not all that is coming in the update as it looks like the X10 will also get the ability to record HD video in 720p just like the Sony Vivaz. Other features in the update include improvements to the Timescape and Mediscape user interfaces as well as wireless home connectivity via DLNA. Sony haven’t given an exact date on when the Xperia X10 will get android 2.1, at least we know it is before Christmas. Sony will also updating the Xperia X10 Mini and X10 Mini Pro to Android 2.1 at the same time. Have a look and our article on Android vs iPhone to see which smartphone and mobile platform is best for you.